Emily’s having an affair, ignoring her iPhone’s calls and feeding it veiled excuses while she slips off to rendezvous with her new Android-powered Motorola Atrix. Good on her. Ignoring the heart’s desire can only lead to the darkness of repressed wants and angry needs – a darkness that always leads to nastiness. Also, it’s not like she’s cheating on a lover or spouse – it’s just a phone, people. My answer breaks down to two parts. The first has to do with the other options available, namely Android, HP’s webOS and Microsoft’s Windows Phone 7 (after a brief crush on the original Bold, BlackBerry hasn’t done much for me since). Due both to Android’s rapid development and the sheer number of devices available on the platform, I’ve flirted with more Android phones than any other OS. Frankly, I’d be more likely to leave iPhone for an webOS or WP7 device than for Android, but that’s another tale for another time. is, to me, better looking but it doesn’t do enough of the things I want it to. The same can maybe be said for WP7. Android I find unattractive. It’s little things like font choices, icon design, and the rounding of corners on dialogue boxes. Apple – and HP (nay Palm) – deals with these things in a way I find pleasing when I’m fiddling with my phone. Personally I’m not so into how Google went about designing Android, though I am a fan of HTC’s “Sense” customizations to Google’s OS. At any rate, I just like the way iOS looks and feels, even if it’s getting a bit stale in certain ways. Apple’s “bring it all to a screeching halt with a dialogue box” approach to notifications is Neanderthal-esque. A non-jailbroken iPhone can’t much be customized beyond changing its wallpaper and fiddling with the order of icons and folders. You’ve gotta use iTunes, and a physical cable, to transfer media between an iPhone and a computer. No iPhone has ever had a standard USB, memory card, or AC port. All of the above points, and many more like them, provide the fuel for many an iPhone-haters arguments in favor of other platforms. Said arguments usually contain multiple references to “iPhones being for people who don’t know how to use smartphones” and “sheep who like being told what to do by Steve Jobs,” or some such sentiments. I get it, and by and large I agree. But here’s the thing: I don’t care. The non-standard cables tick me off, but the rest of it I either don’t mind or actually kind of like. iTunes works well for what I need it to do, and I haven’t found a decent alternative to keep my Macs and a non-iOS smartphone cohabitating in relative harmony. 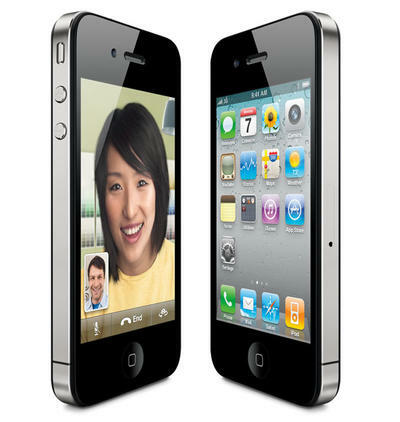 The lack of extra ports on iPhones make them sleeker to the eye and fingertip. And while the notifications issue is pretty embarrassing, the alternatives have issues large enough to keep me away. Android is a mess, if a very powerful and less-messy-than-ever mess. Notifications pile up in that top-edge bar, every action is met with a pop-up menu whose list of choices seems to grow every time a new app is installed on the device, and like I said, the whole thing looks like it was designed by engineers, not designers. I love how flexible Android is overall, but when it comes to the actual user experience, sometimes less really is more. HTC’s Android devices are the exception to my overall aesthetic qualms with Android’s look and feel, but even the deep integration of the latest version of Sense can’t change Android’s core notifications and menu boxes. 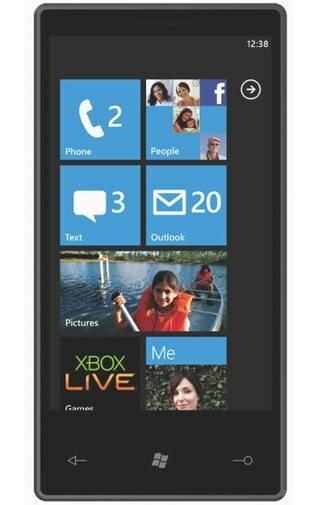 Windows Phone 7 is a baby. It’s really, really interesting to me, but it lacks basic features from cut and paste to a UI that rotates to work with the slider phones it already runs on. The Metro design language is kinda cool. Xbox Live integration has tremendous upside. Call me in six months to a year when things have matured a bit. 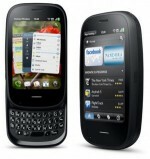 webOS is actually my favorite mobile operating system. Has been since it launched. 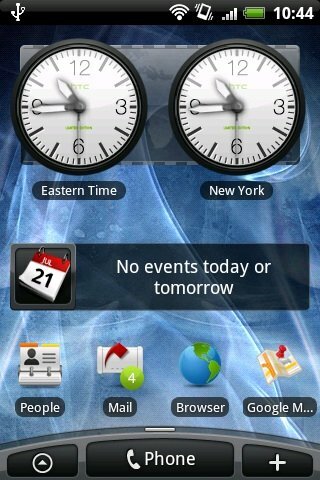 To me, webOS combines the best parts of iOS (good design and simplicity) and Android (notifications) and adds several unique and nifty features all its own (cards). Too bad Palm was in such a bind when it launched the first Pre and fell victim to poor build quality and some business decisions that rendered the platform helplessly bound to the least popular of the major US carriers. I’m intrigued by what I saw at HP’s webOS event a few weeks back, the phone/tablet integration in particular, but I wonder if it’s too late for webOS in developers’ eyes. Also, I’m personally not such a big fan of the portrait slider, which is all HP offers. Give me a side-slider or give me a touch-only slab, thanks. And so I’m back with iPhone and its speedy Web browser, great display, and awesome iPod & video camera, and so-so lots of other stuff. And all of those apps I keep hearing about but rarely use. And, yes, AT&T’s still-lousy where I live service. And then there’s the Apple ecosystem, perhaps the deeper hook into my iPhone fidelity … More on that in Part Two.